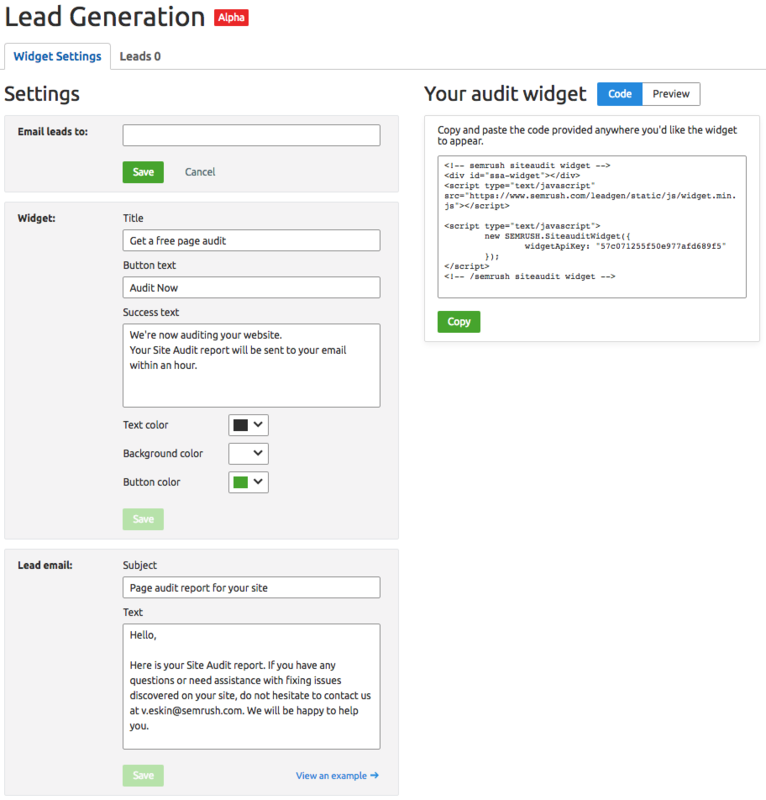 We’re excited to present our new Lead Generation tool, and it's about to offer you something very hard to come by! It's no secret that every business needs clients. Many business owners are turning to innovating methods to attract customers nowadays. Since there are a lot of potential clients on the Internet, lead generation is a very hot commodity. The Lead Generation tool offers great ideas for earning extra clients. Created especially for digital marketing agencies and independent SEO consultants, this new SEMrush product is set to automate the lead-generation process. Our new tool generates an embeddable widget. 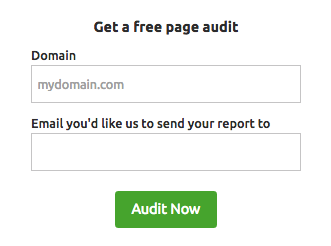 By embedding this widget on your website, you can offer site visitors a free SEO audit in exchange for their email address, which will earn you many more client leads. It’s a fair exchange, isn’t it? The widget displays two input fields: domain name and email –- you can see these in the preview below. The tool is very simple to use. It has a fully customizable interface: you can specify your button text and select any color you like. Use the ‘Leads’ tab to see a current list of all the leads you've gathered so far with dates, emails and URLs. The Lead Generation tool is available for all our paid subscribers. You can use its full unlimited functionality for free while the tool is in beta. Be sure to stock your arsenal with our new product right now! We’re really excited about the release of our new tool and can't wait to receive your suggestions and ideas for improving our services. What else can we do to help you with your lead generation campaigns? Feel free to share your feedback at [email protected]. Try Lead Generation right now!